For Windows Developers who need to capture image from scanner, digital camera or capture card that has a TWAIN device driver with C++ , C#, VB.NET , VB, Delphi, Vfp, MS Access. 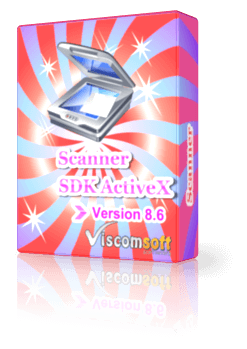 Step 1: To install the Scanner SDK ActiveX Control, begin by launching the setup file (http://www.viscomsoft.com/demo/scannersetup.exe). Select the desired installation folder for the Scanner ActiveX and continue with the installation on your development computer. 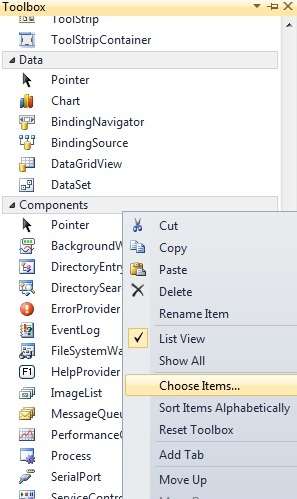 Step 4: Select COM Components tab, select Scanner ActiveX Control , click OK. 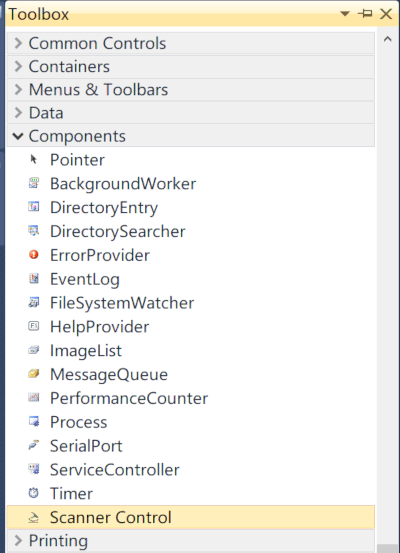 Step 5: Now you will see the Scanner ActiveX's icon on toolbox, drag it to form. 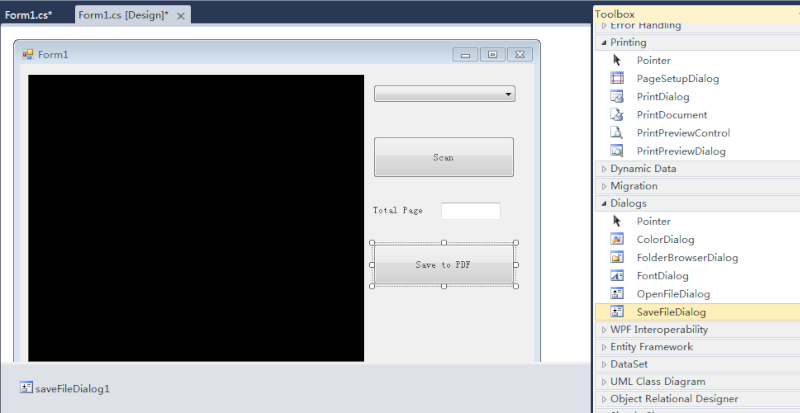 Step 6: Add Combo box, two button , label and textbox on form. Like the following picture. Step 7: change the name property of combo box to "ComboBoximageSource" and DropDownStyle property to "DropDownList"
Step 8: In form load event, add the following code to add the image source item to combo box. 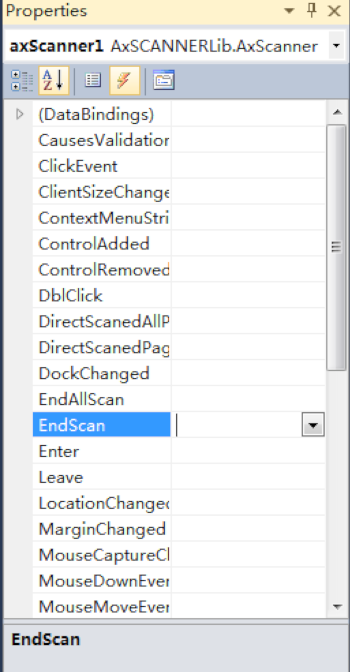 Step 10: select the Scanner Control, Click Event icon in Properties Windows, double EndScan Event to add the EndScan Event hander. 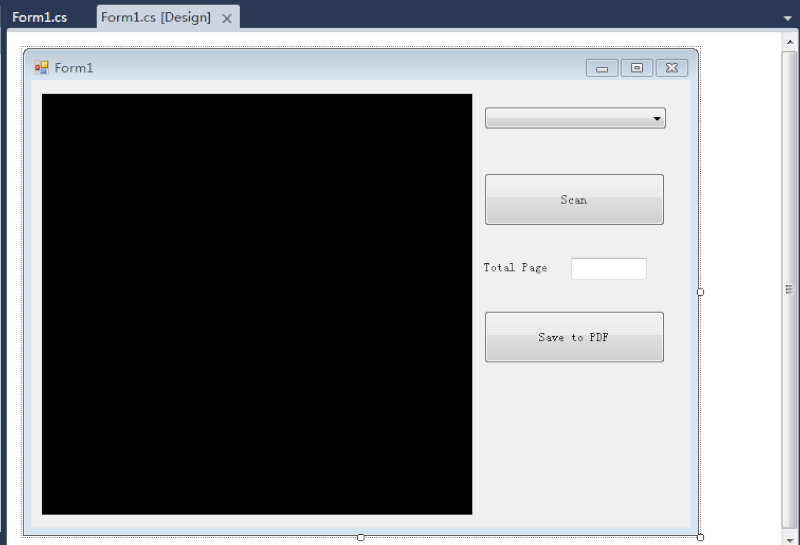 Step 11: change the name property of texbox to "txttotalpage"
Step 13: Add SaveFileDialog control on form. Step 14: Add the following on in Save to PDF click event. Step 15: Now run the project, select the image source device, click Scan button, If you need Scan multiple documents, click Scan button few times, then click "Save to PDF" button.